CHVRCHES is back, although this time it is not an original tune. 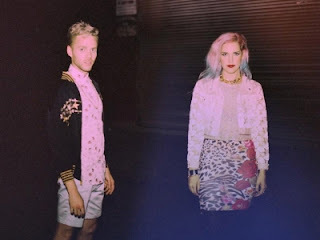 Here they remixed MS MR "Hurricane," which was premiered the other night on Annie Mac's BBC Radio 1 show. The indie pop trio from Glasgow added tons of fun and bouncy synths that make this a dance jam. It put me in a much better mood on this Monday, and it should do the same for you as well. Stream below.